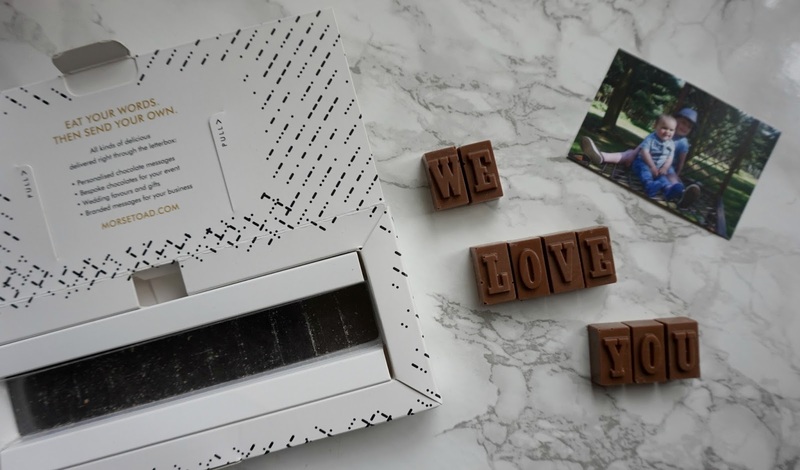 How lovely is this personalised chocolate gift? 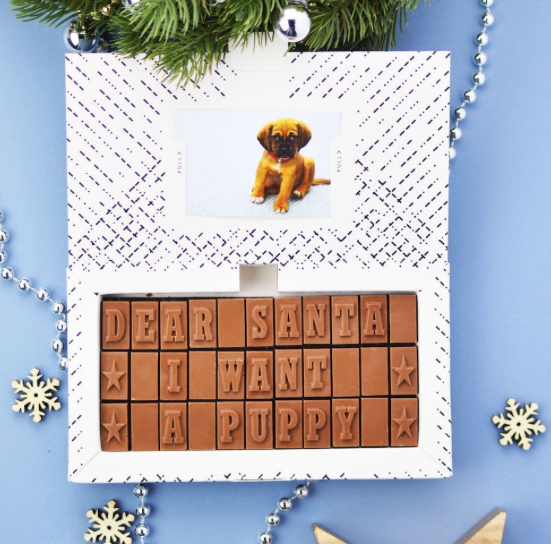 I was going to give Dan this at Christmas but for review purposes he had to see it and tell me what he thought and if the chocolate was good or not, we may have accidentally ate the chocolate spacers before taking pictures, bad blogger alert! The chocolate is gorgeous though, just so you know. Its Belgian milk chocolate and it just melts in your mouth, it's so dreamy. 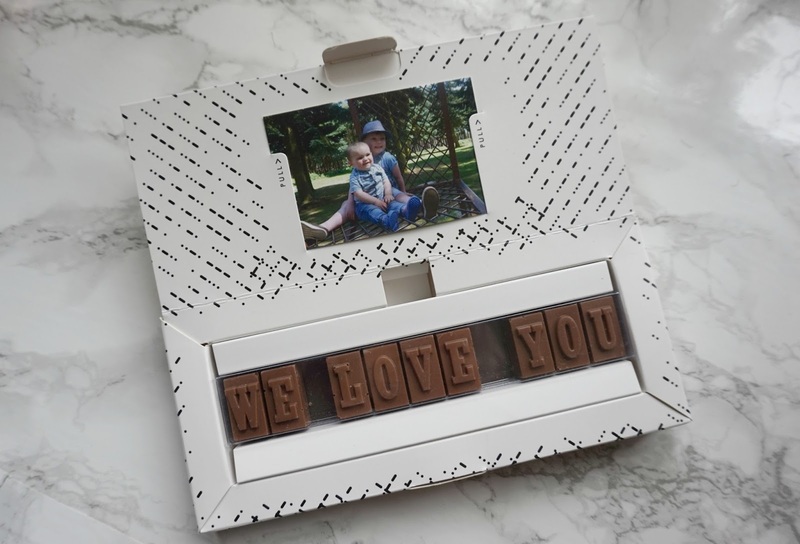 It's a really nice thoughtful gift too, for just an extra pound you can put a photo in of what ever you desire. You could make this a personalised gift for anyone. I'm really pleased with how it came, quite sleek and clean packaging and the whole concept of it all. Dan really enjoyed it, the chocolate and the whole process and now he has a lovely picture of the boys he can put in his wallet. I think I'm going to get a couple of these for the chocolate lovers in my family as it will really make them smile. 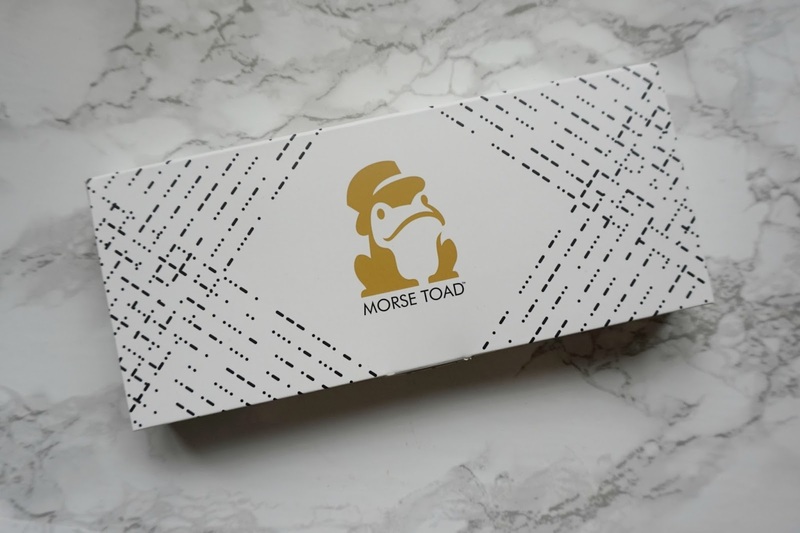 Is there any chocoholics in your life you could give this personalised Morse Toad gift to this Christmas?